Architecture as an art is the envisioning of space where there is no spatial definition, the art of creating order, beauty, and rhythm. It is the art of establishing flow in an otherwise static environment. It is the art of balancing many needs, wants, and requirements that are often set in conflict. Architecture as a process is an iterative and orderly procedure of proposing ideas, evaluating the consequences, and integrating the results, repeated. An architectural project is typically conducted in several successive yet overlapping phases, with each phase building in detail upon the information assembled and presented in the preceding phase. This provides an organized manner in which to explore and accumulate design information, and allows opportunities for my clients to evaluate the progress and to influence the outcome. Architecture is the willful and systematic creation of the built environment. Our architectural design solutions seek to establish order and balance that derive from natural and organic forms and systems. We originate our building designs from the interior arrangement of spaces and from the perspective of the user and how these spaces are linked and experienced. purposefully arranging interior and exterior spaces and the linkages between them to create a dynamic and interesting composition. 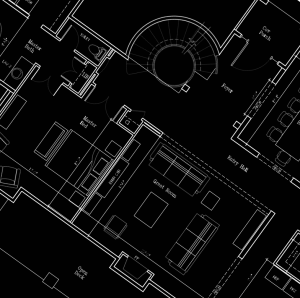 Planning for space utilization is the process of planning applied at a building-scale level. The increasing cost for space, both from a construction and lease perspective, requires that building owners and managers be very diligent about how they use a valuable resource. Working with the stakeholders in your facility (owners, tenants, users, employees, students, maintenance folks, and others), we strive to determine the right allocation and interrelationship of various space uses. Considering the utilization of each program space, we strive to proscribe multiple end uses, where possible, increasing the overall space utilization and increasing building efficiency. 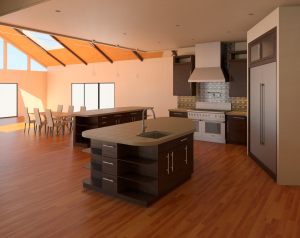 Our clients will frequently require the services of a specialized interior design professional to assist them in the selection of fabrics, furniture, window coverings, and detailed cabinetry layouts (kitchens, for example), as well as other items that may not be fixed to the building. For these services, we often make recommendations of interior design professionals from the community with whom we have developed relationships, often derived from preceding successful projects. We are practiced in the use of building energy performance modeling software, and can provide you with an analysis of the relative energy performance of your final structure.